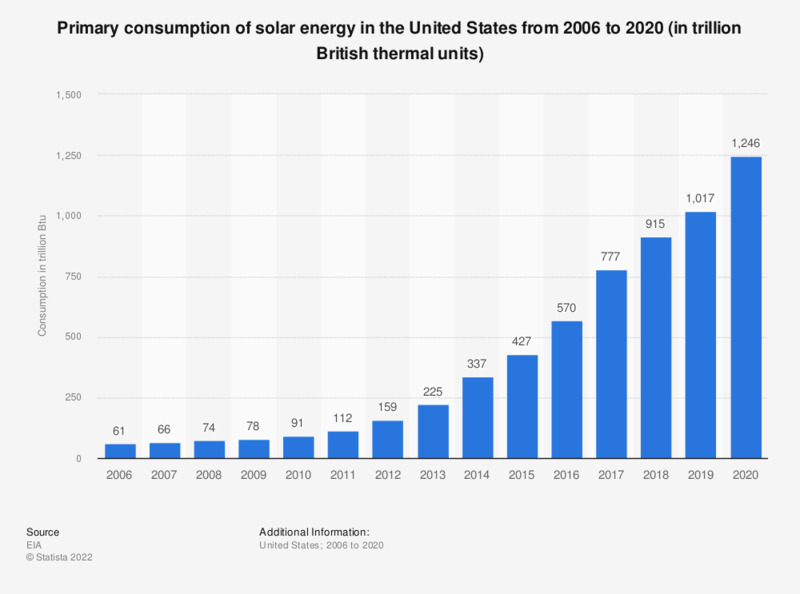 This statistic represents the total consumption of solar thermal and PV (photovoltaic) energy in the United States from 2006 to 2017. In 2017, 774 trillion British thermal units of solar energy were consumed here. * Solar thermal and photovoltaic (PV) electricity net generation as well as solar thermal direct use energy. In the next three months, are you planning to purchase a solar thermal system?